TV & Reality Jobs>Game Show Contestants Wanted>Now Casting Utah Families for a New Family Game Show! Now Casting Utah Families for a New Family Game Show! 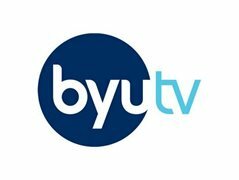 Now Casting Utah families for a new family game show! Big $$$ to the winning families! Battle of the Ages is a comedic game show that pits two families made up of multiple generations (teens, parents, and grandparents) against each other to battle it out in a game of challenges based on trivia and themes from selected eras. *Must be from the Utah area* Travel expenses are NOT provided. We are specifically looking for 3 member family teams that include a Grandparent, Parent and Teenager (14-18.) An older uncle or aunt can take the place of a grandparent. in December. It will be a 1-day taping.